It is the off-season in the Florida Keys. It is the off-season in the Florida Keys. Summer vacations are over and the kids are back in school. Seasonal resident “winterbirds” have not arrived yet and the holidays are just around the corner. On top of all that, many of the sportsmen I fish throughout the year are on their big hunting trips. People often make the mistake of connecting “off-season” with “off-fishing”. That is far from the case. Personally, I feel this is the best time of year to fish down here. Hotels, rental houses and resorts have the most availability and the best rates available. To top it all…fishing is amazing! As the air and water begin to cool off up north, large schools of bait gather and start their annual fall migration south into the waters off the Florida Keys. Of course shortly behind the bait are the large hungry predators ready to feast. Specializing in live bait and light tackle fishing, this fits right into the way I like to fish. Every morning starts out by catching fresh live bait. Being early in the season, there isn’t even a fractioin of the pressure on the bait as other times of the year. This makes step one an easy process. Then the fun begins. The big mystery…what are we going to catch today? One of the main targets in season are the very tasty blackfin tuna. Traveling in schools, it is not uncommon to find literally hundreds (sometimes even thousands) of these tunas crashing baits on the surface. Ranging between 10-30+lbs, landing one of these bad boys on light spinning outfits is a thrill of a lifetime. 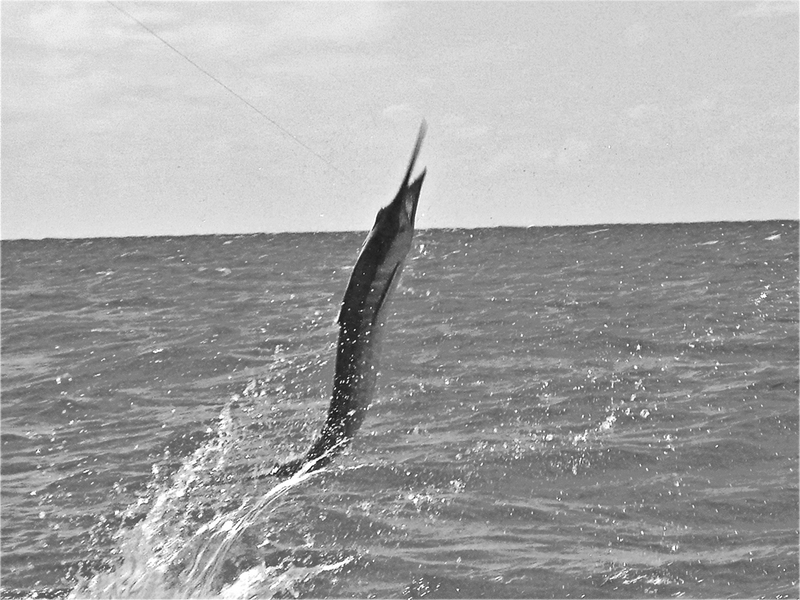 In addition, sailfish and my personal favorite the speedy wahoo are found lurking around the action. Trolling is the traditional way to catch wahoo, but catching one while drifting live bait on light tackle is truly special. Often they will “sky rocket” on the bait, sometimes coming as high as 15-20ft out of the water! The best part of targeting these species right now is the close proximity. Most fishing occurs just off the reefline less than seven miles off the dock making it a very short 20-30 minute run to the fishing grounds, never out of sight of land. Long pounding runs are no fun. If bottom fishing is your fancy, this is a great time for that. Grouper closes on the 1st of Janruary so now is the time to get on them. Large yellowtail, mangrove and mutton snappers are also plentiful and extremely tasty. Don’t be surprised if a nice cobia, another one of my personal favorites, decides to show up at the back of the boat. If the winds are up or you simply prefer to stick to the calm inshore waters…no problem. Warm water species such as bonefish, permit, and small tarpon can be red hot. Slightly cooler water temperatures makes fishing these guys throughout the day much better. Summer is great, but warmer water temperatures often make real early crack of dawn starts a necessity. Fall is the perfect time to target these species. If you make the mistake, as many people do, and try and target these sensitive shallow water species in the middle of winter, often the water tempurates are much lower than these fish can tolerate and will already have migrated to their deeper water hibernation grounds, leaving behind a shallow water desert. In addition to the “fancy” gamefish there are many other species such as snook, redfish, seatrout, sharks, jacks and barracudas available to target. Whatever fishing you desire, I can put you on them. 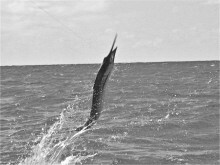 I am a born and raised native to the Florida Keys and have dedicated my entire life to the relentless pursuit of fish. As the sole owner/operater of my business, all inquiries go directly to me. No clueless booking agents or middlemen taking big commision cuts to deal with. Big off season discounts are available right now. Book multiple dates before 15 November 2016 and get up to $200 off per day! Soo many fish, no one to fish with! All fishing trips are garunteed, no fish, no pay! If you have any questions, you can contact me directly. Posted by capt_nateSeptember 27, 2016Comments Off on It is the off-season in the Florida Keys. Give me a call at 305.394.2177, or drop a line to me at CaptNateWheeler@aol.com. Tight lines!